rivers of lights in stasis. Pamela Hammond was born in Chicago, grew up in Southern California, and now lives in Santa Monica. She earned a bachelor’s degree in art from UCLA and a master’s degree from California State University, Northridge. Her early-on love of the outdoors has led her to travel, often to Northern California, and to Alaska, the Southwest, Hawaii, and New Zealand’s South Island, where she lived for a spell. She became a Los Angeles-based critic for Art News based in New York, reviewing exhibitions for more than a decade. 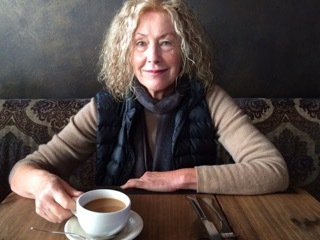 She completed two poetry books, Encounters (2011) and Clearing (2012), produced by Red Berry Editions, Fairfax, California. Her poems have also appeared in numerous journals and publications. I’m wondering if there is a way to contact Pamela Hammond. She was my mother’s art teacher and friend. My mother died in February and I have a piece of Pamela’s artwork.